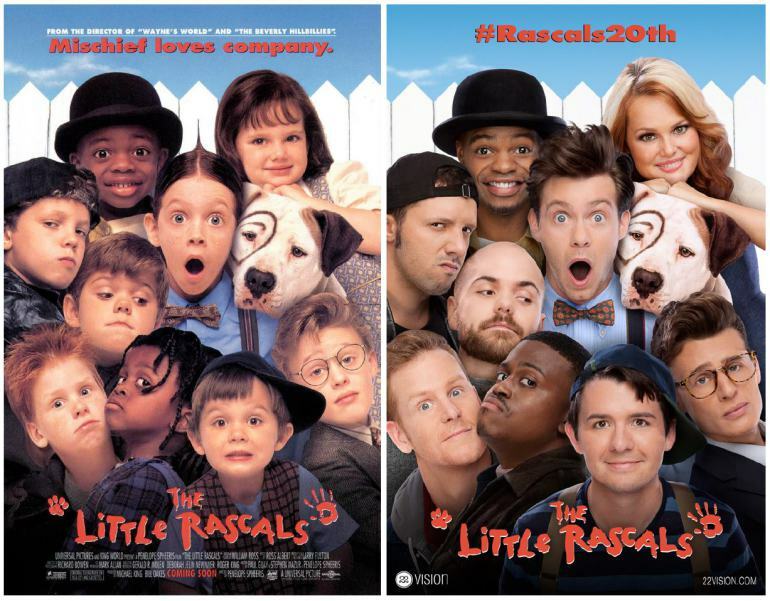 Were you guys fans of the 1994 Little Rascals movie like I was?! My sister Kelsey and I were obsessed. And I don't say that flippantly. We probably have about 90% of the movie memorized. Add to that the fact that we got to meet Blake Ewing, who played "Waldo Aloysius Johnston the Third" (and was a frequent guest star on Full House). The movie had just recently been released when we met him, and later, he (or probably his mom) sent us each an autographed Little Rascals poster that I'm pretty sure hung in our closets until high school. So when Kelsey sent me this, with updated photos of all the main cast members, I was elated. Embarrassingly so. Click on the picture for a link to more photos of the reunion. It looked pretty sweet to me.